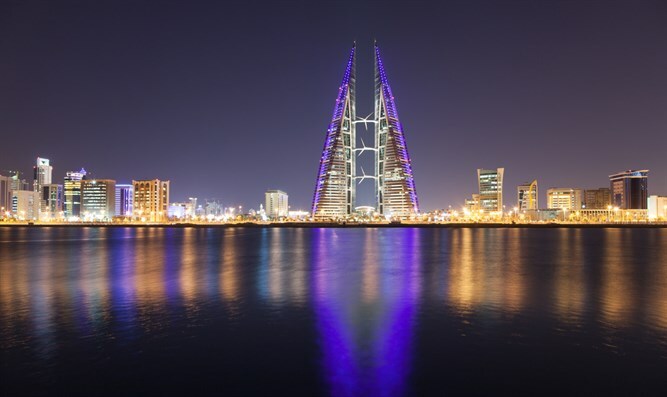 Israeli delegation to international economic conference in Bahrain withdraws one day before conference over security concerns. The Israeli delegation to an economic conference in Bahrain has been cancelled over security concerns, Reuters reported. The delegation, which included at least three Israeli speakers, including the Israel Innovation Authority’s deputy chief Anya Eldan, had been scheduled to attend the Global Entrepreneurship Network (GEN) conference in Manama beginning tomorrow, April 15. “While we advised the Israeli delegation they would be welcome, they decided this morning not to come due to security concerns and a wish not to cause disruption for the other 180 nations participating,” GEN president Jonathan Ortmans told Reuters. Bahrain’s parliament condemned the planned visit of the Israeli delegation in March. “Parliament stresses its support for the just cause of the brotherly Palestinian people, and it will remain a priority for the Bahraini and Arab people,” the parliament said in a statement published on its official Facebook page. The government has taken a more conciliatory tone towards Israel in recent years. Bahrain’s foreign minister, Sheikh Khalid al-Khalifa, last year backed Israel’s right to “defend itself” after its military said it struck dozens of Iranian military targets in Syria. He said Iran had “breached the status quo in the region and invaded countries with its forces and missiles”. “Any state in the region, including Israel, is entitled to defend itself by destroying sources of danger,” he wrote on Twitter. Also in 2018, Bahrain hosted a UNESCO conference attended by an Israeli delegation.